It is obligated on us that we nurture ourselves, our children, our students and those whom our statements can reach to honour knowledge and fear Allaah based on what is found in the Qur’aan and the [authentic] Sunnah of Allaah’s Messenger [sallal laahu alayhi wasallam]. Therefore, the goal behind knowledge is to obey Allaah [The Blessed and Exalted] and His Messenger[sallal-laahu-alayhi-wasallam] – affirm and believe everything Allaah and His Messenger have stated. Nothing reaches us from the Qur’aan or the authentic Sunnah, except that we must believe in it, and give it complete respect, veneration and reverence. This is what the noble companions [of the Messenger] and the pious predecessors used to do, for indeed they gave the highest regard to this knowledge [of the Sharee’ah] and the scholars. And due to the fact that they gave the highest regard to the knowledge [of the Sharee’ah], a man would travel -from the eastern regions of the earth to the western regions, and from the northern regions to the southern regions- to hear the hadeeth of the Messenger [alayhis salaatu wassalaam] and seek understanding of the knowledge found in the Qur’aan; rather during the era of the Messenger [alayhis salaatu wassalaam], a man would travel from the furthest regions of the Arabian peninsula to the Messenger of Allaah [alayhis salaatu wassalaam] to learn his religion, accompany the scholars and the callers to [the religion of] Allaah [The Blessed and Exalted]. 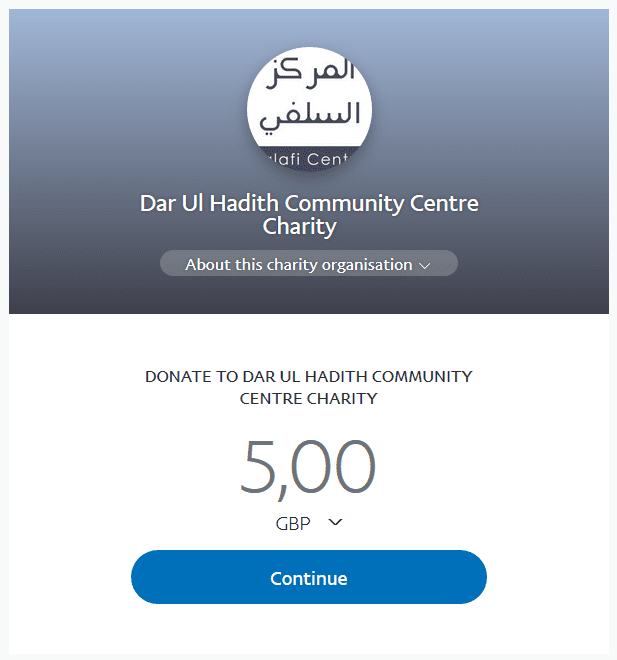 The Taabi’een [i.e. students of the Sahaabah] travelled, rather the Sahaabah travelled [in search of knowledge]. 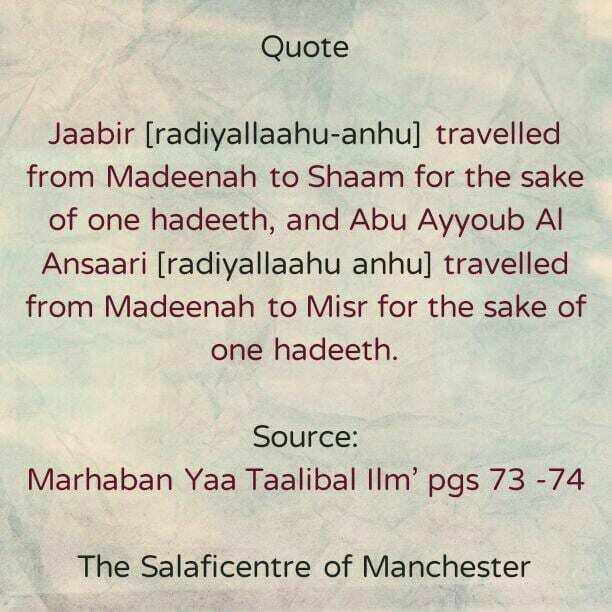 Jaabir [radiyallaahu-anhu] travelled from Madeenah to Shaam for the sake of one hadeeth, and Abu Ayyoub Al Ansaari [radiyallaahu anhu] travelled from Madeenah to Misr for the sake of one hadeeth. Likewise, the Imaams of Hadeeth and Tafseer travelled from the eastern regions of the earth to the western regions to learn the knowledge [of the Sharee’ah]. Why was this the case? That is because they knew the status of knowledge, its nobility in the Dunyah and the Aakhirah, and that Allaah raises [high] the status of its possessors.